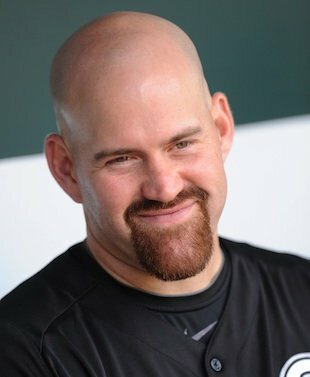 In deference to Jewish fans, as well as to star Kevin Youkilis, the Chicago White Sox organization has rescheduled their game on September 25 to the afternoon. That evening, at sundown, the most solemn holiday of the Jewish calendar (year 5773), Yom Kippur, begins. According to Jews and Baseball: An American Love Story, there have been 160 Jewish ballplayers in Major League Baseball out of the 17,000 and counting who have played on this highest level. That’s less than one percent. We cover this briefly in Inning 6 (pages 127-28), on “Race and Empire.” But we also ought to keep in mind the title of Inning 7: “Speak, Profit.” Fans remember franchises with a sensitivity to all aspects of fandom and the fan base. Incidentally, even into the early 1920s playing professional ball on Sunday was largely prohibited. Chicago (always, it seems, “on the ball”), St. Louis, and Cincinnati, permitted Sunday big-league play initially, with Detroit, Cleveland, and Washington soon joining. Cities that accepted Sunday play late included Boston (no surprise), Philadelphia (also no surprise), and New York (a surprise unless one considers Brooklyn—then home to a team called the Superbas or Robins—a place even today known as the borough of churches). This entry was posted in Baseball, Right Off the Bat Book and tagged Brooklyn Robins, Brooklyn Superbas, Chicago White Sox, Kevin Youkilis, Major League Baseball. Bookmark the permalink.